Free sloth planner stickers. 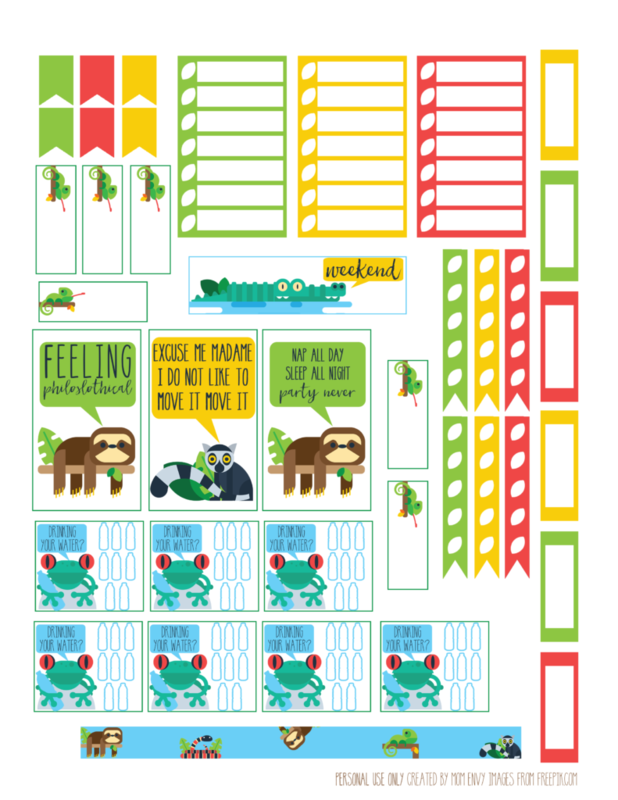 Sloth and tropical animal printable stickers. 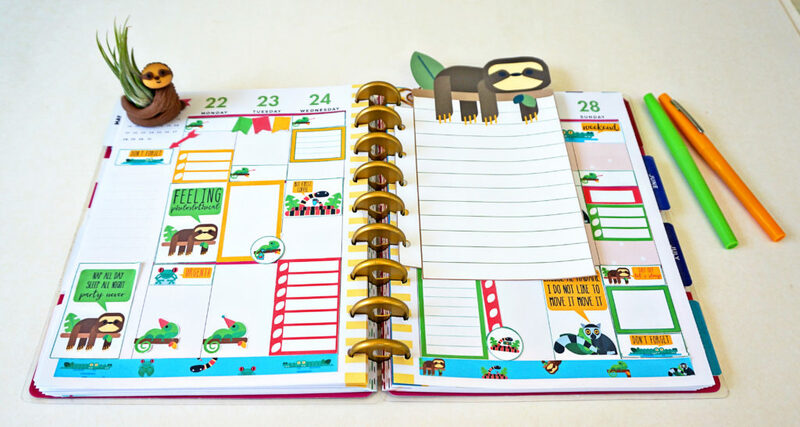 If you’ve been on my Instagram lately, then you’d understand that much like Kristen Bell, I have a love of sloths. There is something adorable about their squishy little faces that I fell in love with years ago. This past fall we were visiting a zoo that had sloths only the exhibit was closed the day we were there. 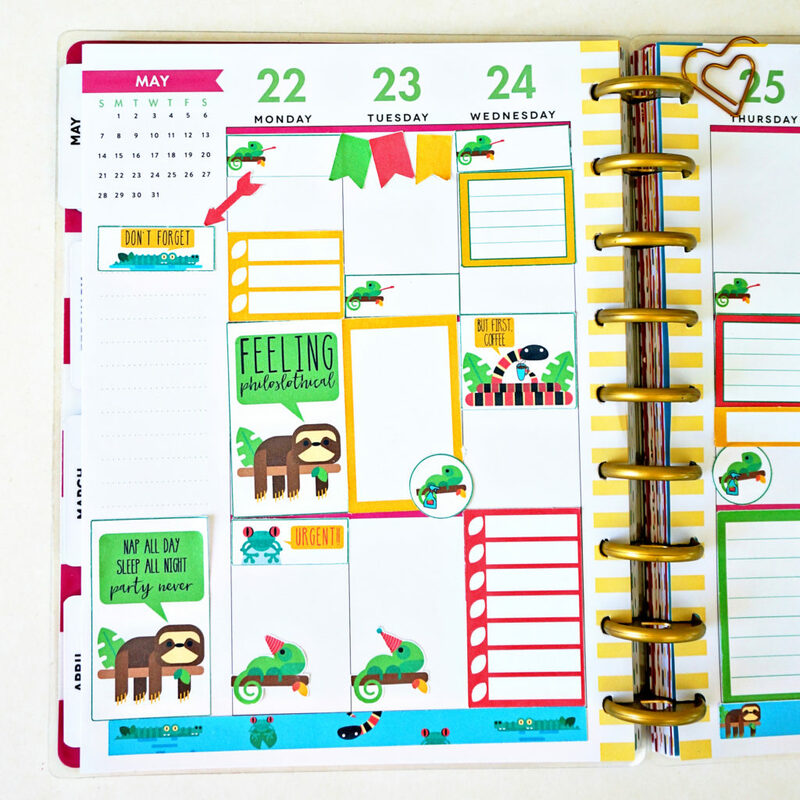 I was devastated (my boys didn’t quite get why I was upset – they’re still unsure of sloths. My youngest still thinks they’re dogs and he barks at pictures of them). 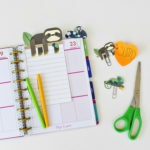 A few weeks back, I shared some free sloth printable inserts and planner clips. 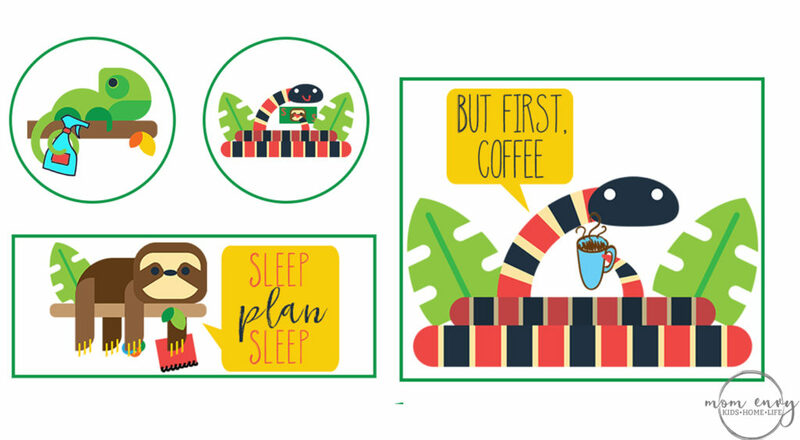 Today, I have created a sloth and friends sticker pack for you. 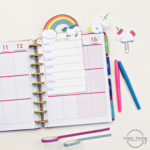 The stickers are available in three sizes (classic – traditional size planners, mini (handheld), and big (size of a sheet of paper). 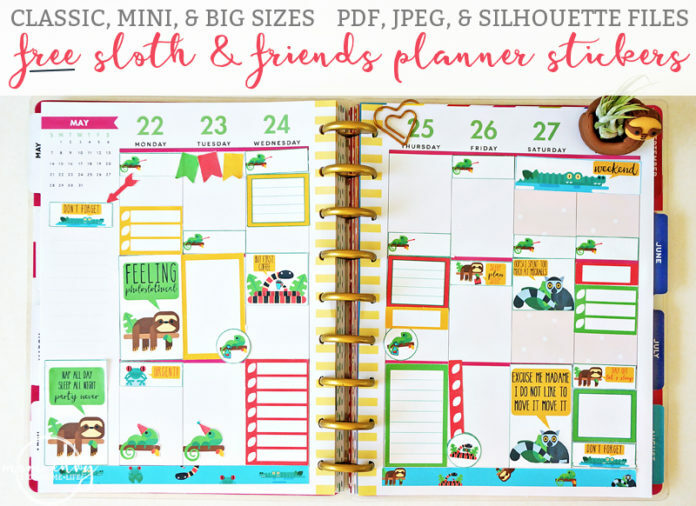 Who doesn’t love free sloth planner stickers? 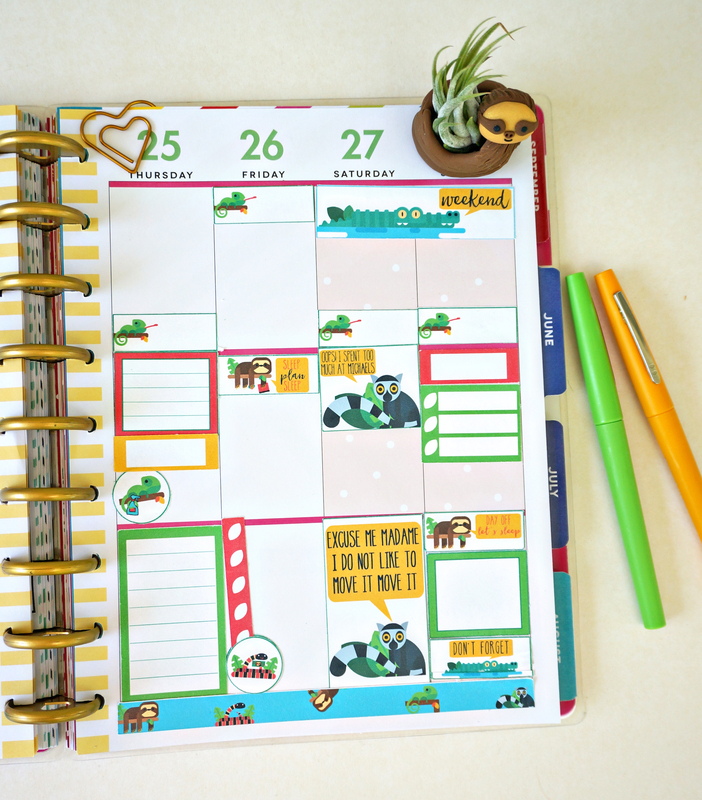 I’m not going to lie, this may be my favorite happy planner printable I have made so far. These amazing drawings were designed by Freepik.com. *Don’t right click and save this file. It will come out blurry. The full resolution is available to download for free at the end of this post. 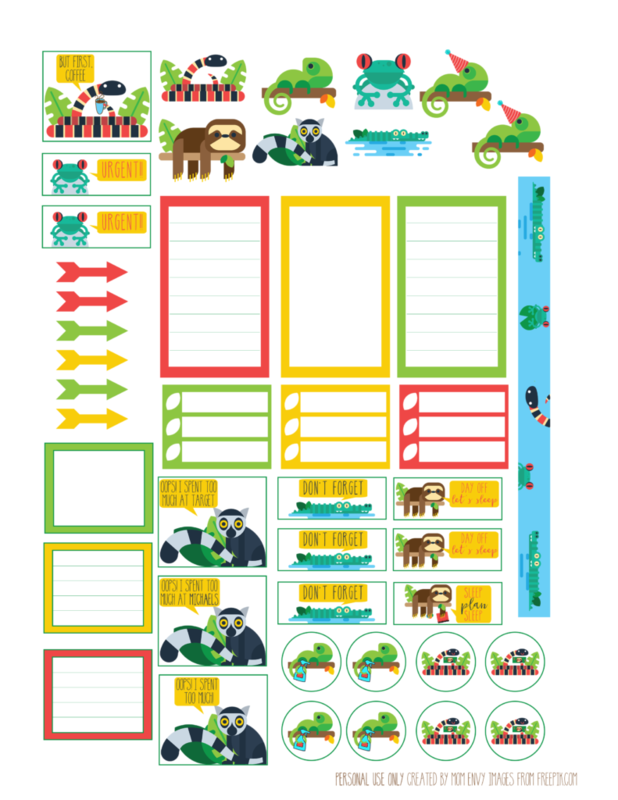 Print them in actual size. 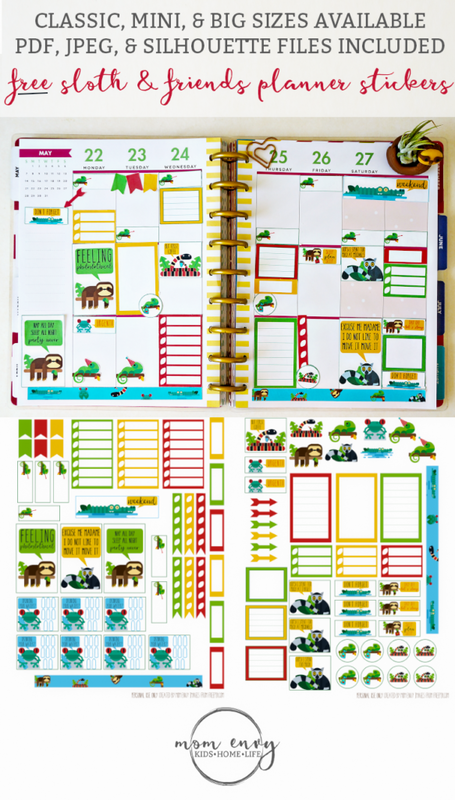 The stickers are already sized for each size of planner. 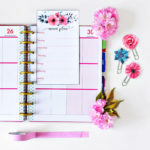 If you’re using another brand of planner, the classic is your standard planner size so it will probably work best. Click on the image below under the Download Below arrow. 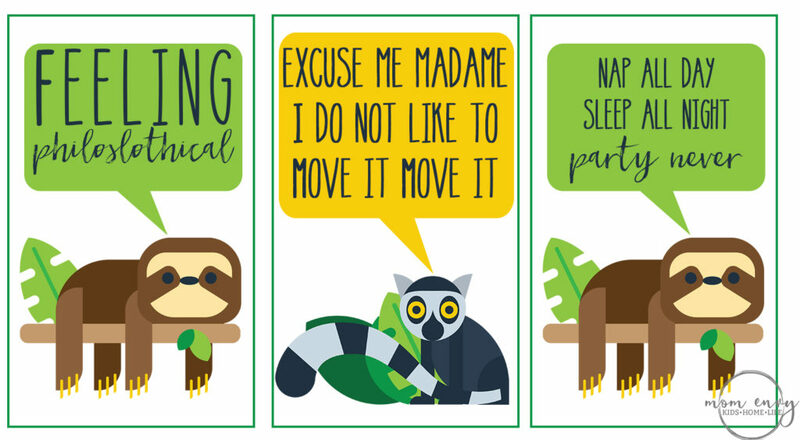 Share the sloth love! Pin me! 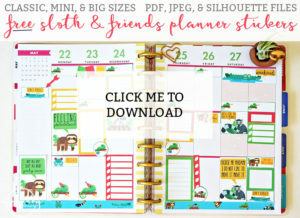 To Download Free Sloth Planner Stickers, click below. This is the cutest thing ever! I’m not even into sloths and I love them!!! So creative!